UK seller - 12 months SELLER guarantee !!! Sweat and water resistant (IPX5). Sweat and water resistant - IPX5. Resistant against rain and sweat, these IPX5 in-ear headphones are ideal for any active lifestyle. 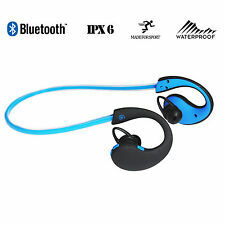 Wireless Bluetooth in-ear headphones for sports. And its incredible 25 hours battery life is ensured by the latest Bluetooth 4.1 low-power technology. Altogether, Bluedio U (UFO) redefines what reference-level wireless audio is all about. Bluedio UFO. 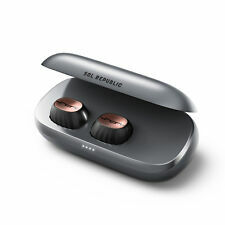 BASS headphones feature 32mm speaker drivers that produce big, pumping bass. This is big, powerful bass that lets you really feel the beat. These Bluetooth headphones are ideal for those who need more bass in their beats without any extra bulk. 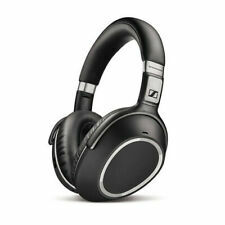 Genuine Beats By Dr Dre Studio 2 Wireless Noise Cancelling Bluetooth Headphone Titanium. website.The fakes ones will not be recognized by the website. Step 6: If the headphone is original beats by Dre. Bluetooth Yes (Version 4.1) with NFC. Sony WF-1000X Truly Wireless In-Ear Noise Cancelling Headphones - Black. Find your perfect sound tone for every song from the presets, easily customisable to your preference with the Sony | Headphones Connect APP. Wireless Technology. Earbud (In Ear). Fit Design. Earpiece Design. Modified Item. Black, Gold. 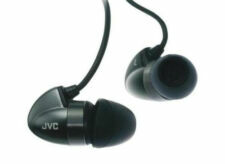 JVC Folding Bluetooth Headphones with Handsfree Microphone and Bass Boost - HA-S30BT-B-E - Black. Bass Boost function for dynamic bass sound (on/off). Dynamic sound reproduction with larger 30.0mm Neodymium bass driver unit. 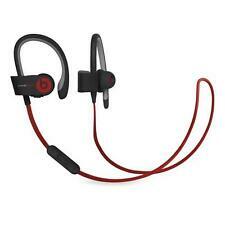 Motorola Escape 500 Over-Ear NC Wireless Headphones - Black. The Motorola Escape 500 wireless, noise-cancelling headphones bring new levels of listening to music. By cancelling out unwanted ambient noise. They create a perfect quiet zone of your own. Built-in 40mm drivers, provide deep, rich HD sound. Bluetooth technology allows you to receive calls without having to remove your phone from your pocket - ideal if you get caught in the rain.